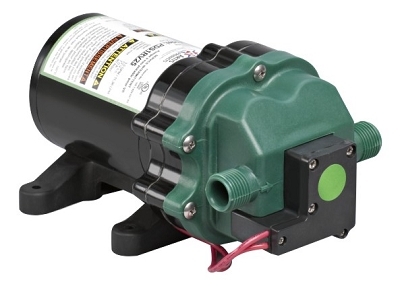 The PDS1RV25 Series is a quiet UL-Listed RV potable water pump with patented diaphragm design. The PDS1RV25 Series delivers steady and reliable water pressure for the entire RV. Delivering steady flow up to 3.0 GPM, giving you good working pressure along with great reliability. One of the safety features are thermal and over pressure protection, as well as the pumps capability to run dry with no damage. The PDS1RV25 Series has been tested and approved by Underwriters Laboratories (UL) to meet both the US and Canadian standards. ARTIS has engineered patented four-chamber design, which improves efficiency while maintaining stable water flow. The ARTIS self-priming feature allows a suction lift up to 6 feet. It has been designed for easy installation and trouble-free operation. In addition to the pump it self, ARTIS strainers are built to keep your tank protected from harmful debris. An integral o-ring creates a tight seal, eliminating possible leaks.